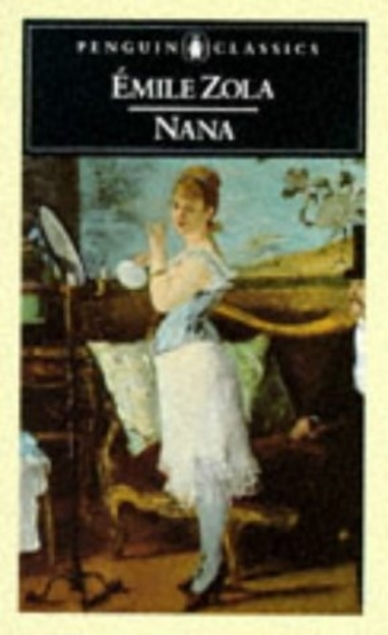 This entry was posted in Books and tagged Classics Club, Edouard Manet, Emile Zola, French literature, Nana, Rougon Macquart by Katrina. Bookmark the permalink. I read this book years ago and remember it as dark. My problem with it is the title: Nana. That’s what we called one of my grandmothers and I just shudder every time I hear the title, knowing the subject matter, and think of Nana, my grandmother! It is dark. A lot of people here call a grandmother nana. My mother hated that word as she always said it reminded her of what small children call a banana. I prefer ‘granny’, that’s what I plan to be called if I ever have any grandchildren. This was by far my least favorite Zola yet. I truly disliked Nana and was really disturbed by the sub-plot of her abusive lover. I don’t know if it has put me off Zola or if I’ve read all the good ones now, I’ve only read one other Zola (The Conquest of Plassans) since then and it was just OK. I’m going to try and read one this month for Zoladdiction and give him another shot. I suppose we were supposed to dislike Nana – I hope so anyway as she was ghastly. Yes that bit about the abusive relationship was horrible. I’ve not even heard of Zoladdiction, but I don’t know if I want to read another Zola so soon.